Capcom has released its second content update for its Street Fighter IV game for iPhone and iPod Touch. The free update adds two new playable characters, C. Viper and E. Honda, as well as new alternate costumes for Chun-Li and Ryu. The addition of C. Viper and E. Honda brings the total number of fighters to 12, and addresses one of the primary criticisms directed at the game: a lack of characters compared to the arcade version, which features 17 playable characters. The alternate costumes for Chun-Li and Ryu are available as in-app purchases, costing $1 each. Capcom’s first content update, released in June, added the characters Cammy and Zangief, and this latest update proves that Capcom is still dedicated to improving its iOS offering. 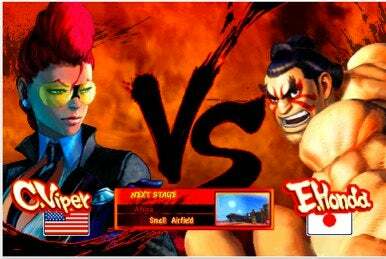 Street Fighter IV sells for $10 and runs on iOS 3.0 or later.